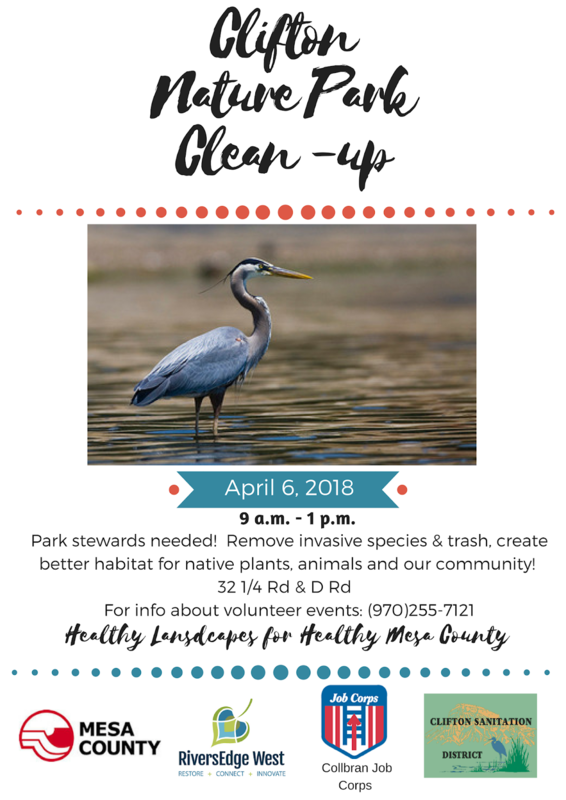 Join us in maintaining and creating healthy landscapes to live and play on, by participating in the clean-up of Clifton Nature Park! The event will take place from 9 a.m to 1 p.m. Friday, April 6, 2018, including the opportunity for a descriptive nature walk after pulling weeds and picking up trash. Meet at the Clifton Nature Park parking lot, which is located on the south side of D Road between 32 1/4 and 32 1/2 roads, next door to Clifton Sanitation District.